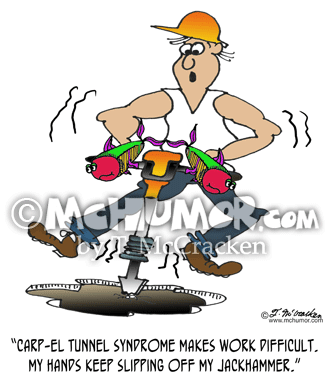 Safety Cartoon 8154: A road worker with fish for hands says, "This CARP-el tunnel syndrome makes work difficult. 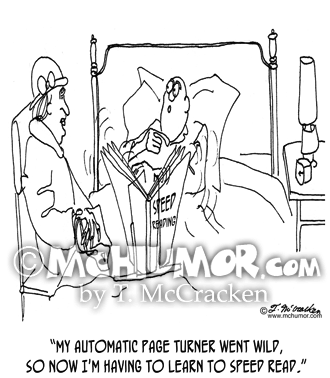 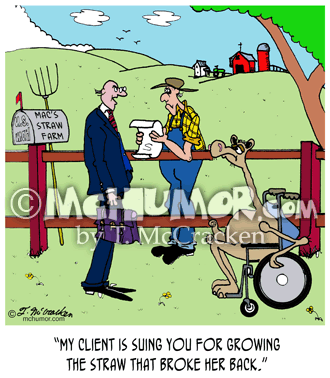 My hands keep slipping off my jackhammer." 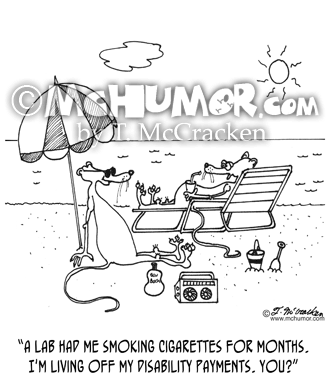 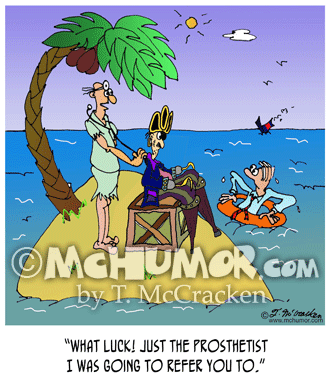 Pirate Cartoon 8476: A doctor stranded on an island with a pirate as a patient looking at another doctor in a raft rowing up says, "What luck! 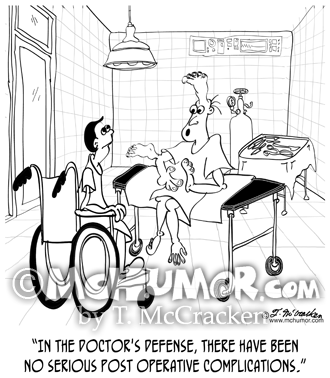 Just the prosthetist I was going to refer you to." 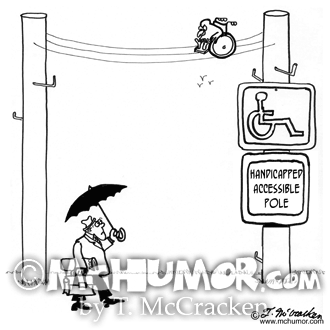 Bird Cartoon 2708: “Handicapped Accessible Pole.” A bird in a wheelchair sits on telephone wires looking eagerly down on a man walking by carrying an umbrella. 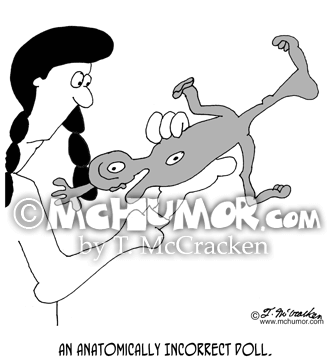 Anatomy Cartoon 6906: "An Anatomically Incorrect Doll." 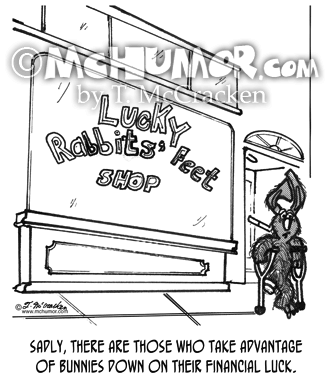 A doll with a head on the kneecap, a foot on the elbow, etc. 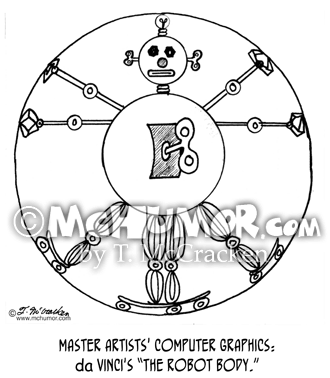 Art Cartoon 2775: Master Artists' Computer Graphics: da Vinci's "The Robot Body."